With Monsters University set to open in movie theatres on June 21, naturally there's a renewed interest in the movie that started it all, Monsters, Inc. Now would be a good time to refresh you kid's memory on the characters in Monstropolis, what they do and what they're like, so that when they watch the movie, it will be like seeing old friends again. You can do this by watching Monsters, Inc with your kids or reading the book. Or you could enjoy the best of both worlds and download the Monsters, Inc. Storybook Deluxe app for iPad, iPad mini, iPhone and iPod Touch. The cool thing about Monsters, Inc. Storybook Deluxe is that you can read through the story just like with any book, but like other Disney Storybook Deluxe apps, you can record yourself reading the story and your child can play it back. There's nothing a kid likes more than feeling independent because he's "reading" a story all by himself! What's more, the story is sprinkled with fun animated clips with character voices straight from the movie for a more immersive experience. Another fun activity to enjoy while reading the story is to collect virtual monster cards. Have your child keep an eye out for bright yellow scream canisters. When she finds one, have her click on the canister and she gets a card added to her collection! 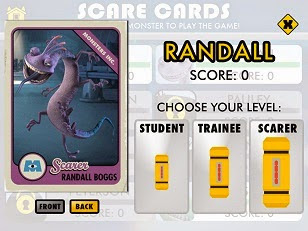 Once you collect a monster's scare card, you can use that monster to play the Simulator Room game. 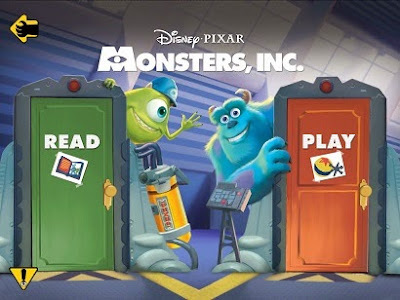 From the app's home screen, click on the "Play" door, choose your monster and choose your level of difficulty. 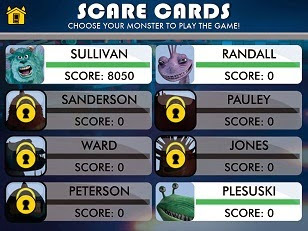 The Scare Simulator Game is exactly like the one in the Monsters University Storybook Deluxe app (which has 5 versions of the game compared to just one version here, but remember that this app came out first!). Players have to navigate through a room full of obstacles by tilting their device to move around the obstacle. If you hit 3 obstacles, your game ends. 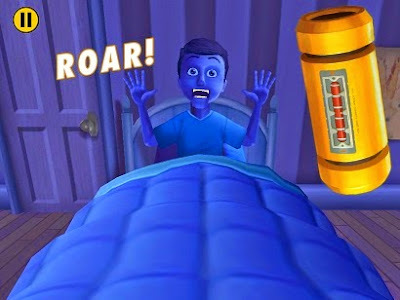 If you make it all the way to the end of the room before hitting 3 obstacles, you get to yell into the screen, fill up a scream can and terrify the Simulator Child! You get points based on how many objects you hit and your level of difficulty. As an added bonus, if you own both the Monsters, Inc. 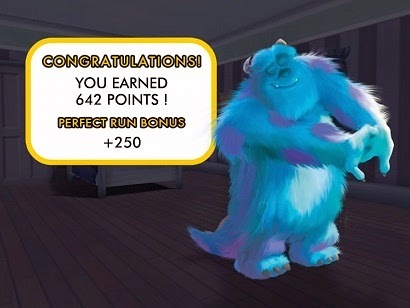 Storybook Deluxe app and the Monsters University Storybook Deluxe app, you get to unlock a whole new set of monster cards in the Monsters University Storybook Deluxe app! 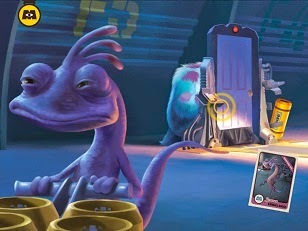 The photo below shows our Monsters University monster card collection. All the virtual cards in the bottom row are cards that can be unlocked in the Monsters University app when you own the Monsters Inc.
With the Scare Simulator game and the virtual monster card collecting, Monsters Inc. Storybook Deluxe makes a refreshing change from the usual puzzles and coloring game extras found in other Disney Storybook Deluxe apps. If your child is a Monsters Inc. fan, this is one terrifyingly cool app! Disclosure: I received a download code to review the app. The views and opinions expressed here are my own. Summer has finally arrived, and it's time to start planning your family vacation to the Disneyland Resort! Even if you've been there before, every year there's something new to enjoy, so families can keep coming back to experience something different. This year, there's the new Fantasy Faire, where guests can meet the Disney Princesses and an all-new musical production, Mickey and the Magical Map. What's more, many people have not yet had a chance to visit Cars Land. It has become my favorite part of Disney California Adventure, and a walk through downtown Radiator Springs is an absolute must! * The parks are open longer. * The rides and attractions are less likely to be closed for maintenance (one or more of the popular rides always seem to be closed for maintenance in the spring, fall and winter!). * There are more shows to accommodate the crowds. I was at the Disneyland Resort over Memorial Day Weekend, which is one of the busiest times of the year at the resort -- and honestly, the crowds were Not. That. Bad! Really. Yes, some lines were long, but I found ways to avoid most of the lines and still have a great time. This sounds like an obvious piece of advice, but it's worth repeating because it's so important: Arrive Early. Stay Late. Lines are shorter in the first 2 hours of park opening. The importance of arriving early is best illustrated by the Radiator Springs Racers attraction at Disney California Adventure. One year after opening, it still draws long lines with wait times sometimes exceeding 2 hours! Last weekend I found myself in Cars Land 30 minutes after DCA opened, and the line for the Radiator Springs Racers FASTPASS -- not the ride, the FASTPASS! -- reached all the way to the Carthay Circle Theatre. The return time for FASTPASS users was already at 6:30 PM - 7:30 PM window. About 90 minutes after the park opened, they had already run out of FASTPASSES for Radiator Springs Racers! So, the moral of the story is: Arrive Early. Stay Late (and line up for a Radiator Springs Racers FASTPASS as soon as you enter DCA!). You can always rest in the middle of the day when the lines are the longest. * Disney puts on amazing productions with professional entertainers, enchanting sets and of course, the best of Disney music. 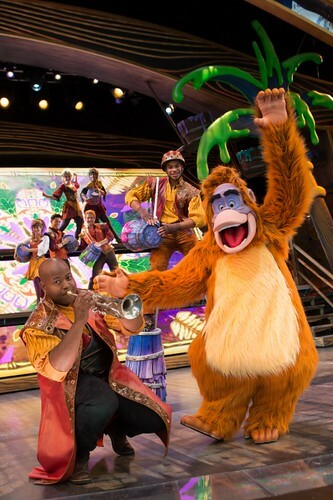 Some of their shows like Aladdin and the new Mickey and the Magical Map rival Broadway productions. * You get to sit and rest your tired legs for an extended period of time. * Unless you're watching a street performance, the venue is likely to be cool and shady, so it's a fun way to beat the summer heat. Make sure you double-check the performance schedules and arrive at the venue of your chosen show well in advance of the posted start times. Depending on the performance, doors can open up to 30 minutes ahead of time. Hey, don't sweat it -- that only means a longer rest time for you. This is Southern California, and it can get sunny and hot in the summertime! When you're hot and sweaty you get crankier, the kids get fussier, the lines feel longer. So make sure you stay covered (a hat is a must!) and hydrated (a bottle of water is also a must!) to avoid dehydration, or worse, sunstroke. Do what you have to in order to stay cool -- seek shade, purchase a battery-operated fan, ride Splash Mountain, take out one of Davy Crockett's Canoes! There are so many great ways to keep your cool at the Disneyland Resort. 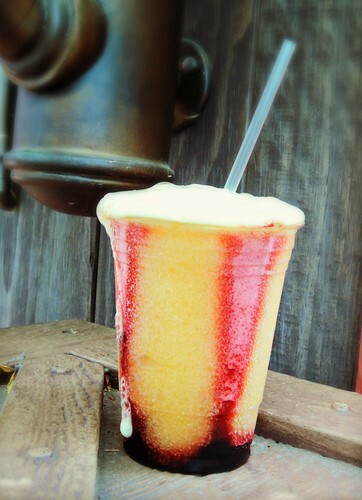 If you need suggestions, I'll be posting about my favorite ways to stay cool at the Disneyland Resort, so stay tuned! With the addition of Cars Land in California Adventure and Fantasy Faire in Disneyland, not to mention all the entertainment in both parks, it's really no longer possible to experience either park in a single day. The Disneyland Resort has really become a vacation destination all on its own! I recommend staying at least 3 days, and I would stay 5 days if it was my first visit and I knew we wouldn't be going back in at least 2 or 3 years. When you purchase multiple-day park tickets, the longer you stay the less you pay per day. 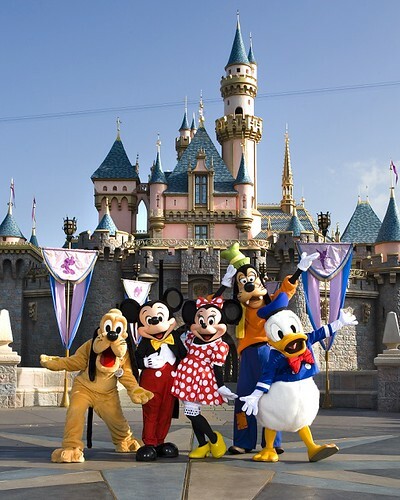 In addition, if you purchase 3, 4, or 5-day theme park tickets, you'll get one Magic Morning early admission to Disneyland on the days the park offers it. I can't overstate the importance of that extra hour! With 5 minute to zero wait times, you can ride your favorite attractions multiple times and maybe even pick up a FASTPASS to ride again later in the day. It really takes the pressure off to "get more rides in" during the day, so you can relax and enjoy. If you possibly can, I think it's worth splurging on accommodations at the Paradise Pier, Disneyland Hotel and Grand Californian. Hotel guests get Magic Morning early admission to either Disneyland or Disney California Adventure (they usually alternate Magic Mornings) for every day of their stay. What's more, they are just a short walk away from the parks, so you can take a break in the middle of the day when it gets more crowded. Kids can take naps or relax in the pool so everyone goes back into the parks rested and recharged. And because they're Disneyland Resort hotels, you're still immersed in the Disney magic! The hotels are really like extensions of the parks, with magical Disney touches everywhere -- in the lobby, along the corridors, in your room -- and the staff are just as friendly and helpful as any you'll find in the parks. Disclosure: I was invited to a press event to preview new attractions and entertainment for 2013. Travel and lodging were provided but I did not receive monetary compensation for this post. . The views and opinions expressed here are my own. My mother taught me to clean tubs and sinks and dishes and countertops like a pro -- but what she never managed to teach me was how to use rubber gloves when doing my cleaning. She always wears rubber gloves to protect her hands so they don't get all dry and chapped, but I could never get into the habit! I hate the slimy feeling of the gloves and I hate it when water gets into my gloves and I hate the reduced sensation (how am I supposed to feel whether there's still dirt or dried-up food?). But mother is always right, because I do get dry, chapped skin whenever I'm on dishwashing duty. 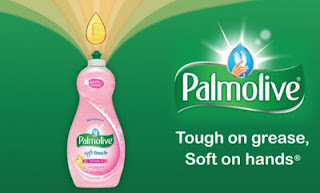 Fortunately for stubborn dish washers like me, Palmolive's newest dish liquid, Soft Touch, is formulated with gentle, moisturizing ingredients that help keep your hands in manicure-ready condition! 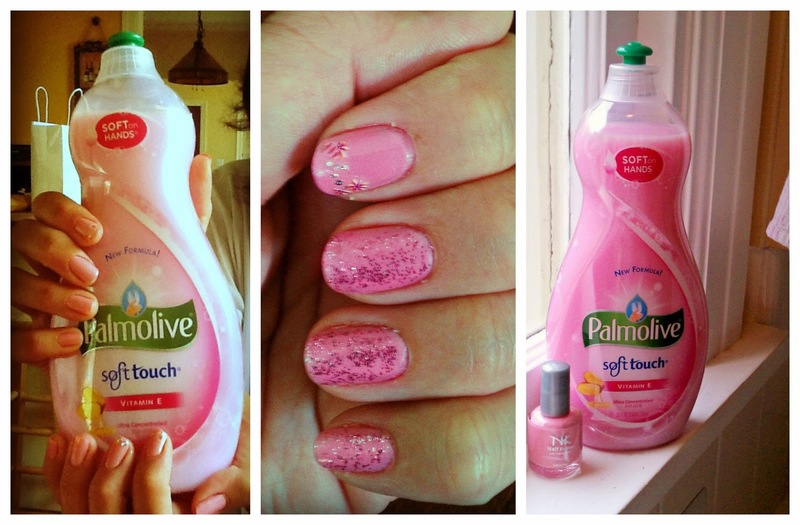 Palmolive sent me a bottle of their Vitamin E Soft Touch, which has a touch of Vitamin E, along with a bottle of cute pink nail polish so I could give myself a manicure right after washing the dishes! 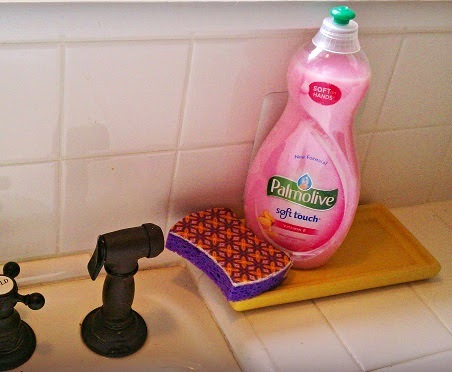 Palmolive Soft Touch Vitamin E is a lot thicker than your regular dish liquid. It's even thicker than many liquid hand soaps! It looks, feels and smells more like a liquid soap with moisturizers... am I crazy for thinking my hands did feel a lot softer after I used this dish liquid after washing up this evening's pots and pans? You be the judge -- I asked my daughter to give me a manicure with the pink nail polish Palmolive gave me (if you're wondering about the added glitter and bling, well, she's twelve), and I think my nails look great! One lucky Bonggamom Finds reader will win a bottle of Palmolive Soft Touch Vitamin E and a bottle of pink nail polish! 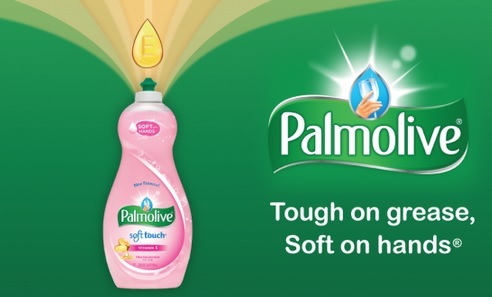 Leave a comment on this post telling me which of the varieties of Palmolive Soft Touch you would most like to try. This giveaway ends at 11:59PM PST on June 15, 2013; I will draw a winner at random on June 16 and post their name after they confirm acceptance. Continental US residents only. For additional giveaway rules, click here. Disclosure: I I received a product sample to facilitate my review, but have not been paid to review the product or give my opinions. The views and opinions expressed here are my own. 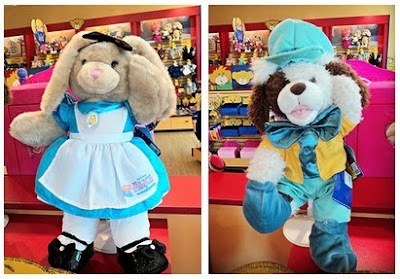 One of the things that keeps kids coming back to the Build-A-Bear Workshop is their every-changing character line. They are always launching new cuddly critters and furry friends for kids to stuff and adopt. This year alone, they have introduced a make-your-own Spongebob Squarepants, his best friend Patrick, Kennel Pals Pug, Tropicolor Teddy, Peace & Love Bear, Pinkie Pie and Rainbow Dash from My Little Pony... and my favorite of all the new friends, the Disney Princess Bear! 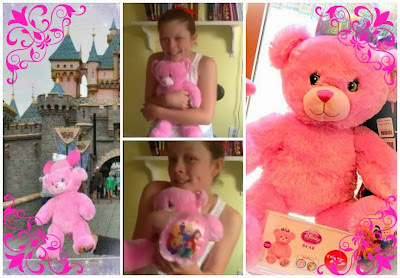 The 16" Disney Princess Bear was introduced in January, and she is the sweetest, softest, cuddliest bear ever. She comes in a cotton-candy pink color, with a sparkly purple crown attached to her head. Her left bottom paw has an image of the Disney Princesses and her right bottom paw is printed with pastel princess crowns. I recently made a Disney Princess Bear (courtesy of Build-A-Bear) at the Build-A-Bear store in the Downtown Disney shopping area of the Disneyland Resort (check out my Downtown Disney Build-A-Bear post for photos of some of the exclusive Disney-themed items at this very special store!). 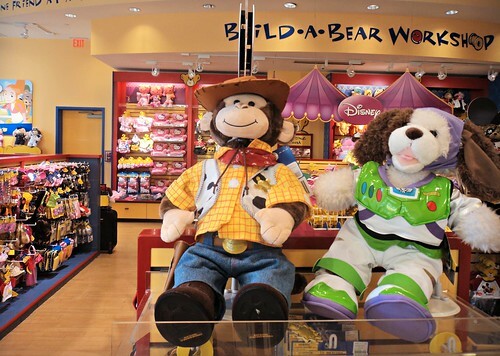 It's always fun building a friend at Build-A-Bear Workshop because you get to customize him or her every step of the way by adding sounds, scents and heartbeats. Also, every friend comes with with a satin heart that the child embeds into its body, as well as a customized birth certificate and Find-A-Bear tracker ID. My Disney Princess Bear turned out perfect! Actually she's The Pea's Disney Princess Bear now, and her name is Allie. She decided to cut off the sparkly crown (because princesses like to take their crowns off sometimes!) but the crown is perfectly intact (we just snipped the stitching that attached the crown to Allie' head) so it can be pinned on whenever Allie wants to wear her crown. Because Allie is the color of pink cotton candy, I gave her a cotton candy scent. I also added a beating heart and a fun sound feature -- you can add sounds like a beating heart, a kissing sound, a giggle, a voice saying Happy Birthday, a message you record yourself, or even a song. 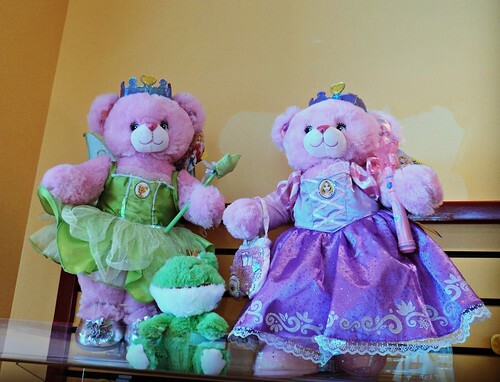 You can find the Disney Princess Bear at your nearest Build-A-Bear workshop or online. Don't forget to pick up a Disney Princess costume to dress your new bear in -- after all, every princess needs a fairytale gown! 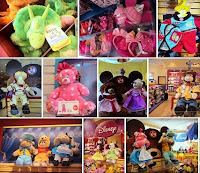 Visit my Flickr page for more adorable photos of the Disney Princess Bear and other furry friends at the Downtown Disney Build-A-Bear Workshop! Disclosure: I received a complimentary Princess Bear and outfit for review. The views and opinions expressed here are my own. A few weeks ago, Build-A-Bear Workshop invited me to build a Disney Princess Bear, and since I knew I would be visiting the Disneyland Resort in Anaheim, I absolutely knew I had to build the bear at their Downtown Disney location. I have always wanted to visit that store to check out their Disney-themed merchandise, so the timing couldn't be better. 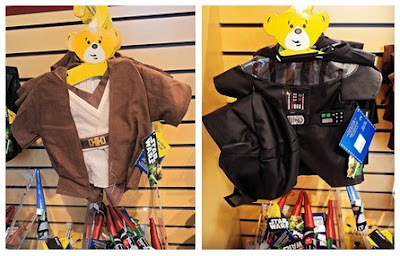 The Build-A-Bear Workshop in Downtown Disney has everything you can find in a regular Build-A-Bear store, with added pinch of pixie dust to give it a bit of Disney magic. 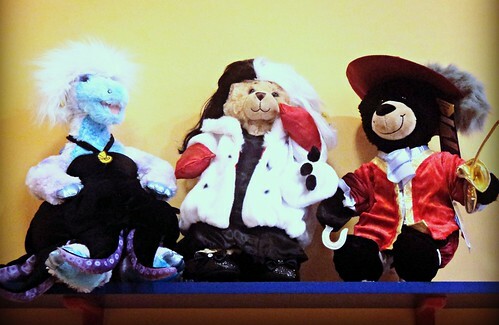 The store is spread out over 2 floors, with cute bear sculptures adorning the walls, ceiling and stairwell. Giant Mickey ear hats form display boards at the top of display shelves. 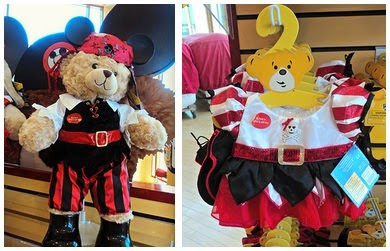 Everywhere you look, there are Disney-themed clothes and accessories for Build-A-Bear friends. You can find some Disney-themed merchandise in regular stores and some online, but you'll find the full set here, plus some items exclusive to this store. 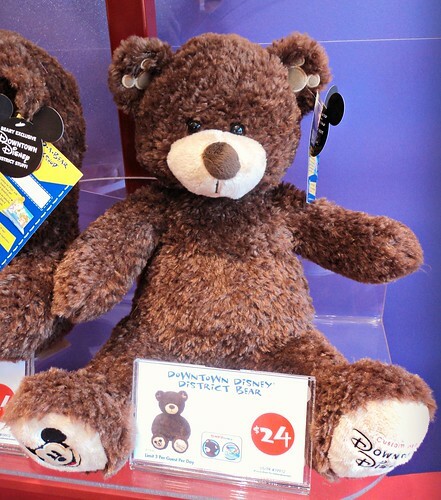 For example, the Downtown Disney District Bear is exclusive to the Build-A-Bear Workshop in Downtown Disney. 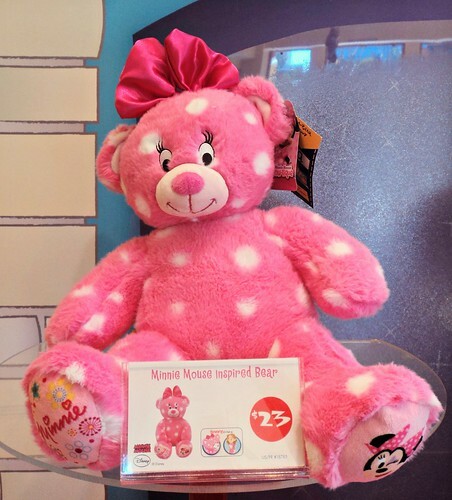 The Minnie Mouse Inspired Bear is not exclusive to Downtown Disney, but once they stop selling it in regular stores and online, they will continue to sell it at Downtown Disney. 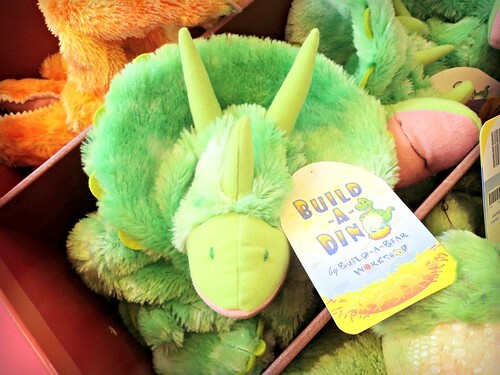 The Downtown Disney store is the only Build-A-Bear Workshop where you can build your own stuffed dinosaur! A portion of the second floor is devoted to Build-A-Dino animals, clothes and accessories. Here's a sampling of the dinosaurs you can make: Triceratops, Spinosaurus, Stegasaurus, Diplodocus, Velociraptor, Apatosaurus, Stegasaurus, Carnotaurus and T-Rex. The Sabretoothed Tiger and Wooly Mammoth are also part of this collection, even if they aren't dinosaurs. I even saw the most adorable caveman and cavewoman outfits, which I assume can't be found anywhere else. The Villains: Ursula, Cruella de Ville and Captain Hook! Star Wars: Jedi Knight and Darth Vader! Alice and the Mad Hatter! And for those days when your Build-A-Bear doesn't want to wear a costume, Build-A-Bear also offers Disney-themed everyday clothes and accessories. Like the Disney costumes, you can find a small selection online and an even smaller selection in stores, but it's all here at the Downtown Disney store. The girly outfits are so cute: Minnie headbands, Minnie princess ears, Minnie purses, Tinkerbell and Disney Princess tees, even Minnie underwear! The Build-A-Bear Workshop in Downtown Disney is truly a special store. 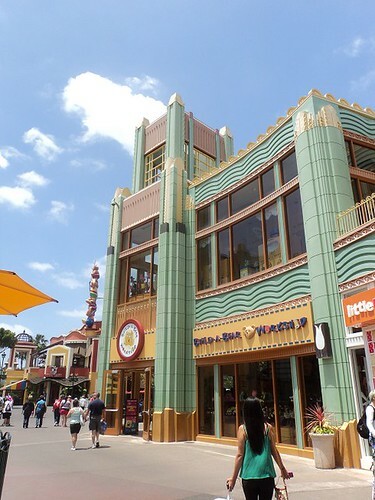 It's definitely worth stopping by while you're visiting Downtown Disney and the Disneyland Resort. 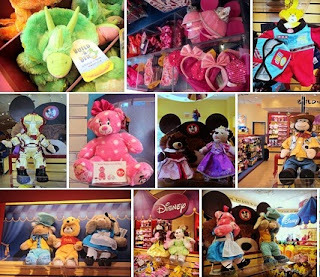 Visit my Flickr page for more adorable photos from my visit to the Downtown Disney Build-A-Bear Workshop! 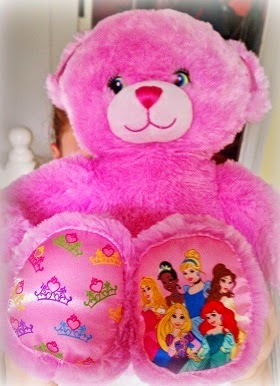 Disclosure: I received a complimentary Disney Princess Bear, outfit and accessories from Build-A-Bear Workshop. The views and opinions expressed here are my own. None of these giveaways are sponsored in any way (except by me! ), they are just products and brands that I know and love and use in my everyday life. I recently attended a McDonald's blogger event to try the Egg White Delight McMuffin, which was delicious. Next to the oatmeal, it's my new favorite McDonald's breakfast item! At the event I received a swag bag full of McDonald's goodies. I saved the best part -- the Arch Card and free coupons -- to give away to one lucky Bonggamom Finds reader! 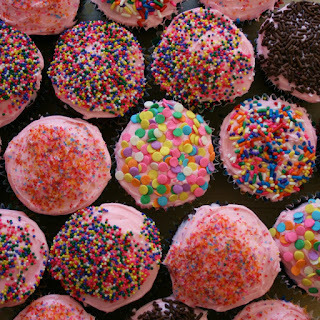 Leave a comment on this post telling me your favorite celebration restaurant. 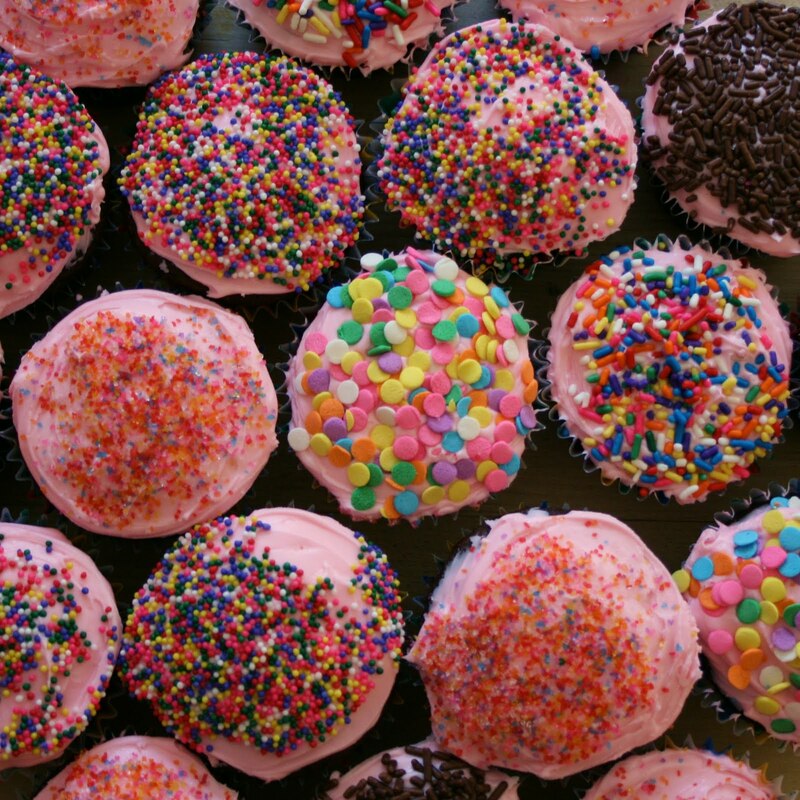 If you could pick any restaurant in the world to dine in for your birthday, which one would you choose? I entered your birthday giveaway for a McDonald's Arch Card and coupons for free McDonald's products! This giveaway ends at 11:59PM PST on June 26, 2013; I will draw a winner at random on June 27 and post their name after they confirm acceptance. Continental US residents only. For additional giveaway rules, click here. Disclosure: I did not receive a sample or monetary compensation for this post. 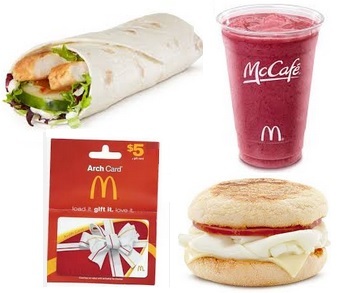 McDonald's is not affiliated in any way with this giveaway. I am providing the giveaway prize myself. The views and opinions expressed here are my own. I've always thought that the live shows at the Disneyland Resort are one of the best bargains around. For the cost of park admission, you not only get to unlimited rides in the park, you also get admission to some pretty spectacular stage productions! Shows like Disney's Aladdin - A Musical Spectacular, Disney Junior -- Live on Stage or Billy Hill and the Hillbillies might easily cost $20-$60 if they were a touring show appearing in your local theater concert venue. 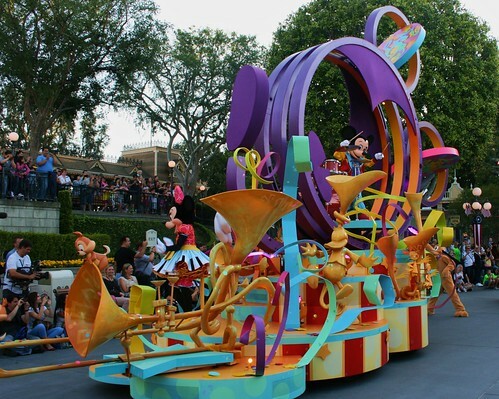 And don't forget all the parades, Fantasmic and World of Color! This year, the Disneyland Resort has added a new live show to its entertainment schedule: “Mickey and the Magical Map", which opened at Disneyland Park today, May 25. I saw the show during last week's trip to the Disneyland Resort and I couldn't be more impressed. It was magical! The home of Mickey and The Magical Map is the Fantasyland Theatre, the big tented area beside It's A Small World which used to be the place guests could go to meet the Disney Princesses. 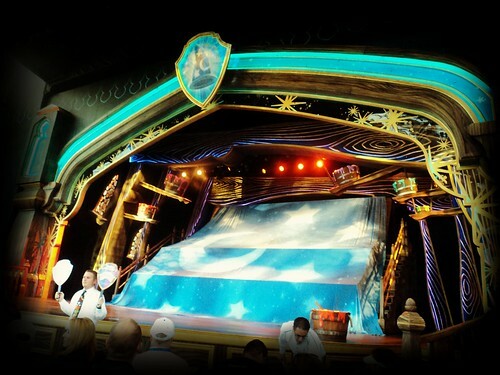 Now that the princesses have made their home in Fantasy Faire, the Fantasyland Theatre was refurbished to provide seating for about 1,800 guests, and the stage was completely reimagined. As the title suggests, the show features two main characters: Mickey and the Map. 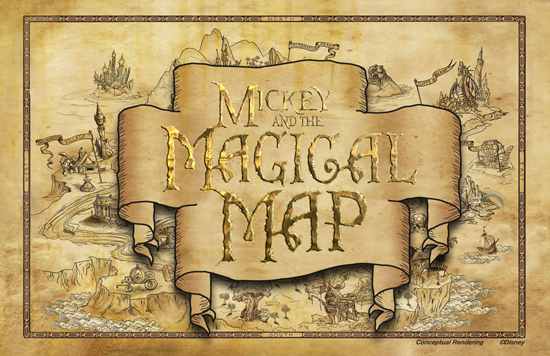 Mickey puts on his Sorcerer's Apprentice robe and once again lets his curiosity get the better of him as he explores a magical map. The map is actually a giant LED screen (with over 1 million pixels!) 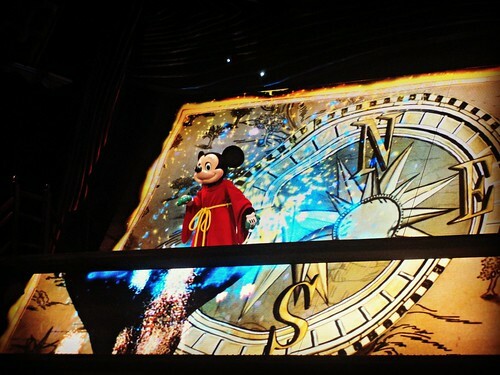 that acts as an animated backdrop, multi-level stage, prop, and character in the story, and it's so amazing that I need to dedicate a separate post to rhapsodizing about its wonders -- so stay tuned for a behind-the-scenes look at Mickey and the Magical Map, including an interview with one of the Imagineers behind the show, VP of Creative Development Michael Jung! the orangutan sings "I Wan'na Be Like You". Next, the map takes Mickey to America, China, and the kingdom of Corona, where Pocahontas, Mulan and Rapunzel, respectively, live. They sing a beautiful medley; the songs happen to be 3 of my favorites, "Just Around The River Bend", "Reflection" and "I See The Light". Then the map takes Mickey to Ariel's world, where Sebastian sings Under The Sea. 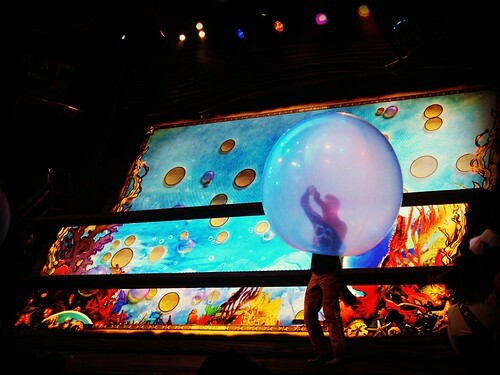 Bubbles blow into the audience during this number, and two of the dancers somehow insert themselves into giant plastic? rubber? bubbles, something I've never seen before. As we resurface, we find ourselves in Hawaii, surfing with Lilo and Stitch in a "Hawaiian Roller Coaster Ride". 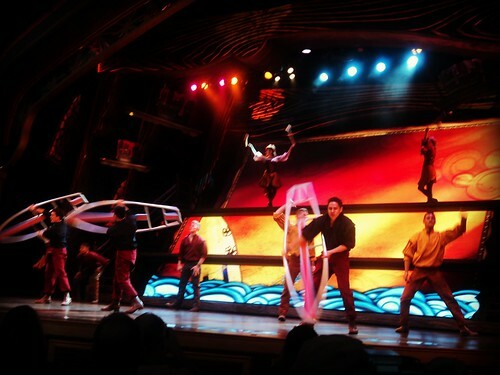 This was probably my favorite dance number because I loved how the dancers utilized the surfboard props to launch each other into some serious acrobatic moves. 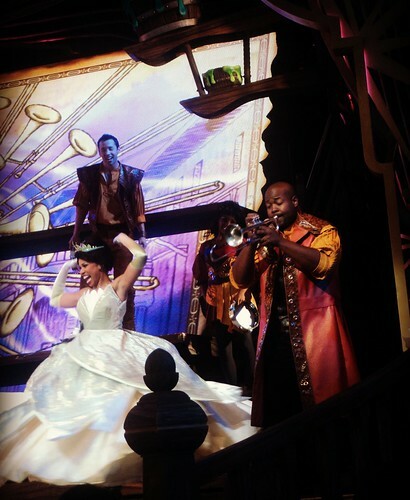 Mickey's magical journey finally ends in New Orleans, where Tiana leads the grand finale in a rousing rendition of Dig A Little Deeper. Not only does this number have a cool riverboat float, it has an even cooler trumpet player who makes some serious jazz music.Check it out! 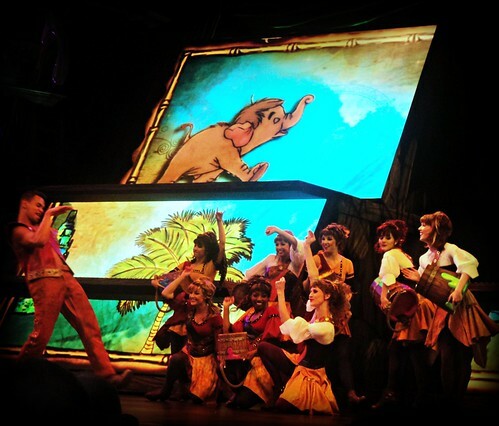 Mickey and the Magical Map will run 5 times per day, 7 days per week during the summer. The show lasts about 22 minutes, but as with all good shows anywhere, I would arrive at least 30 minutes before showtime to get a good seat and settle in. You are allowed to eat inside this theatre; in fact, the Troubador Tavern is located right beside the theatre. This show really blends the best in technology, set design, dance, song and storytelling. I know it's all too easy to pack your day at Disneyland enjoying rides, but it's definitely worth making time to catch a performance of Mickey and the Magical Map. 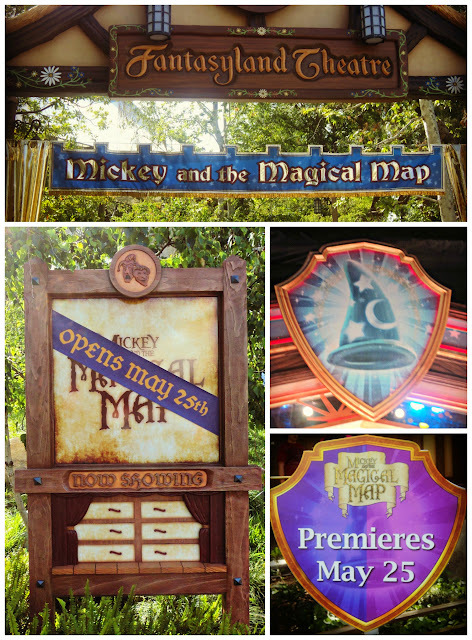 Disclosure: I was invited to a press event for a preview of Mickey and the Magical Map. Travel and lodging were provided but I did not receive monetary compensation for this post. The views and opinions expressed here are my own. Iron Man 3 opens in movie theaters today!